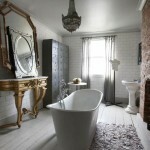 Home ﹥ Bathtub Refinishing Information ﹥ What Is The Best Do-It-Yourself Bathtub Refinishing Kit? 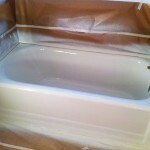 There is quite a few do-it-yourself bathtub refinishing kits out on the market. The ones found at home improvement stores seem to have the worst adhesion properties and we are constantly stripping bathtubs that have been refinished with these coatings by home-owners. 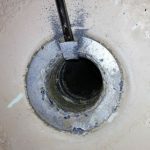 Many homeowners choose to refinish their hard to clean bathtubs instead of removing the tub due to destroying the tile surrounding the bathtub. 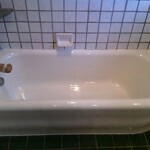 When it comes to bathtub refinishing products, what is even more important than the quality of the product itself is the preparation of the bathtub. 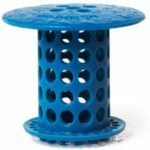 The tub must be thoroughly cleaned and all oils, soap scum and silicone must be removed if the product is to have a chance at adhering. 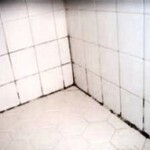 DIY bathtub refinishing kits do have the ability to produce a good final result if the bathtub surfaces are de-contaminated and the kit instructions are followed. 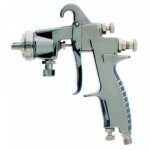 One thing to keep in mind is that bathtub refinishing products release dangerous fumes, meaning proper ventilation and an organic vapor respirator are necessary. 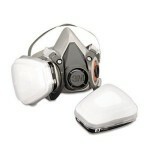 Other personal protection must be used as well including safety glasses and chemically resistant gloves. 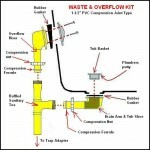 This kit works great on fiberglass tubs as well. Just sand the fiberglass (rough it up a bit/remove the shine) with 120 grit sandpaper and remove all of the dust. 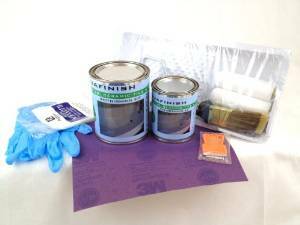 You may also use these kits to reglaze your tile, just follow the instructions and read the “how to refinish a bathtub” link below for some universal tips. 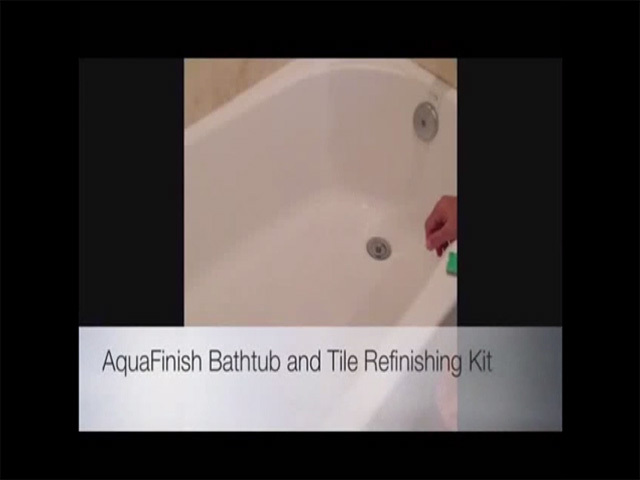 Here is the top-selling and highest reviewed do-it-yourself bathtub refinishing kit. 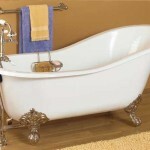 More information on how to refinish a bathtub can be found at the link on the bottom of the page. 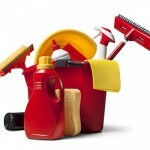 So far the Aquafinish kit outperforms all hardware store kits we have tested. (In all honesty, we used to include the review for our #2 favorite product. 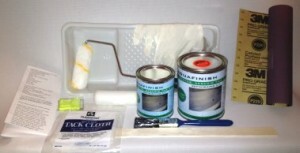 This was the ArmorPoxy Bath Sink and Tile Epoxy Refinishing Kit. 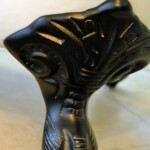 A few folks were choosing it over the AquaFinish kit.